marital bless: At Long Last! 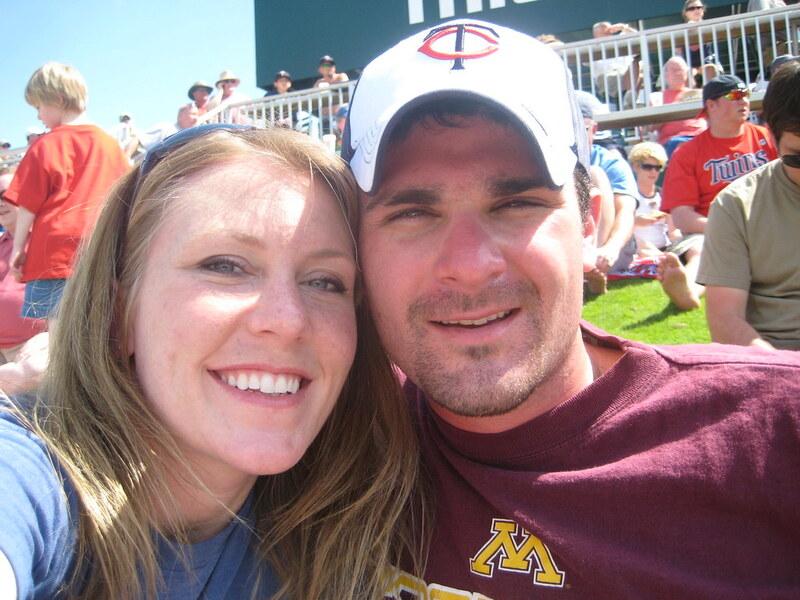 I finally made it to a Twins game at the new Target Field! 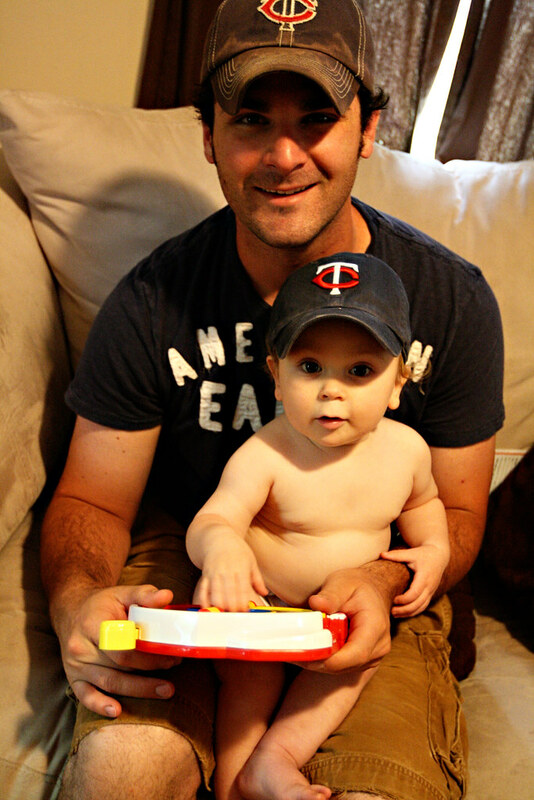 Tony has gone to TWO games without me and I seriously debated our choice to bring Isaac. Tony is all about Isaac's first experience and I don't blame him, but since he's already gotten to explore the field I was afraid that Isaac would detract from my first visit. Tony assured me that he would not slack on fatherly help, so we chose to bring him! My Dad got a whole group together through his work to go to the game and was awesome enough to pay for our tickets and transportation! 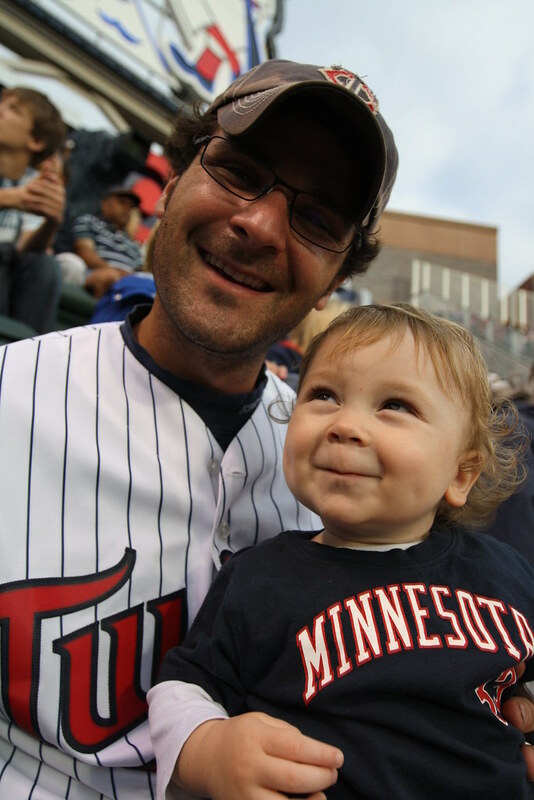 Isaac first enjoyed a ball game when he was in utero on our Florida vacation, which amazingly was just last March. 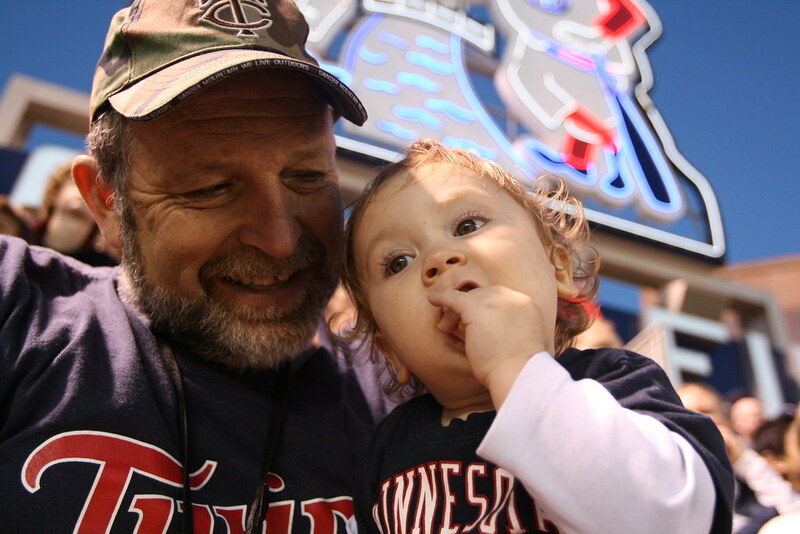 Tony and I absolutely adored our first outdoor MLB game, even if it was the Grapefruit League, work with me on this one and could not wait until the Twins went outdoors! [We've been to a Saints game, which are a blast in their own right, but it's different when it's the big league!] 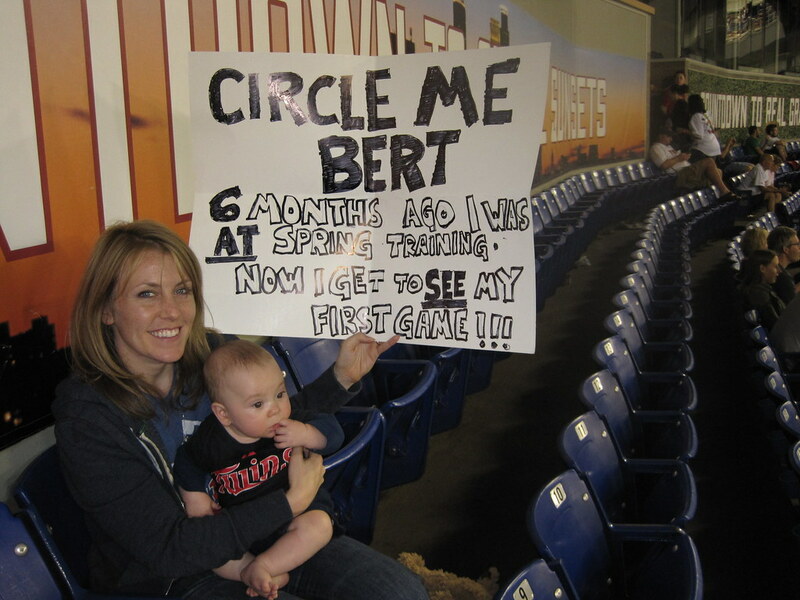 We were really adventurous parents and brought Isaac to a late season game and tried to get on TV with our sign. 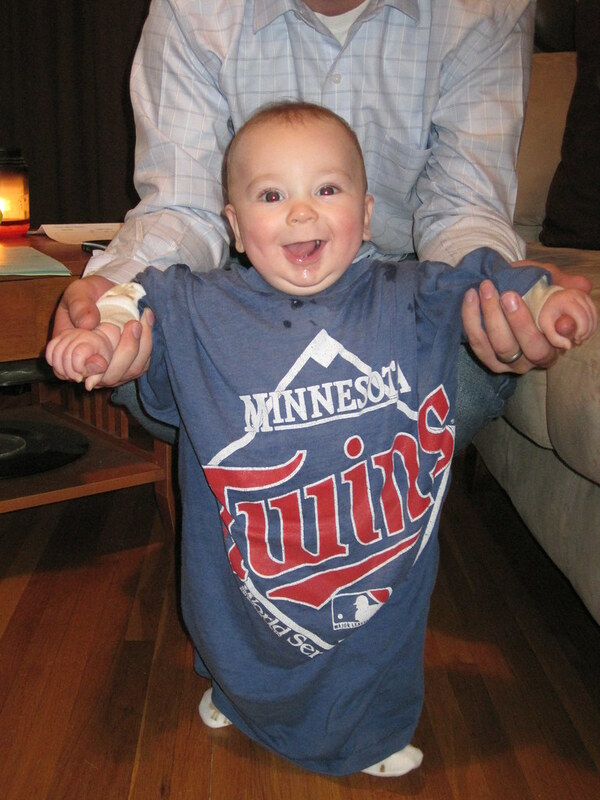 Isaac's a big Twins fan! 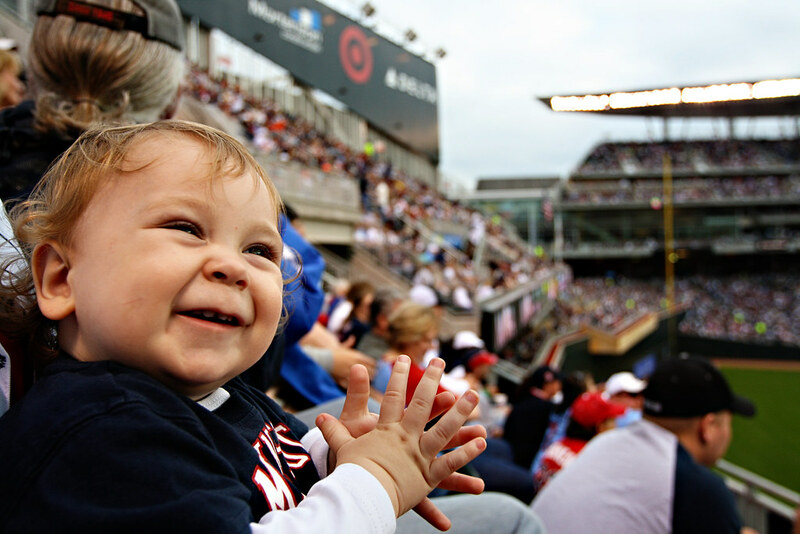 And he had great fun enjoying the game on Tuesday, especially because the Twins pounded the Royals! It was pure drama throughout the day Tuesday due to the rain, but it cleared up at 6:00 and turned into a BEAUTIFUL evening! There were several times that Tony and I tag teamed Isaac, but he honestly did great! This is as close to smile picture I get these days. Boys. I tell you. He ate numm numm's and tried mustard mixed with ketchup for the first time with inconclusive reviews. Such a gorgeous field. Really so few complaints! We had great seats, right under Minne and Paulie. 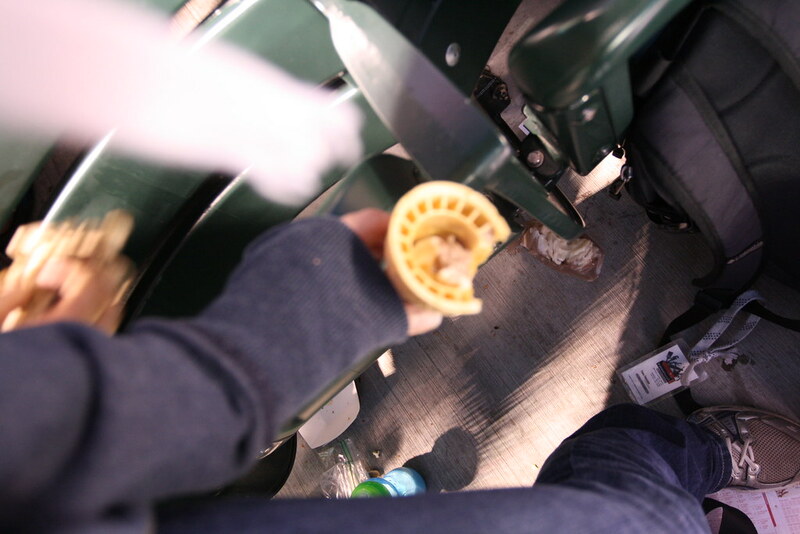 Our only problem happened when my hubs tried to get Isaac to lick the ice cream. I didn't even see what happened, all I know is that this happened. 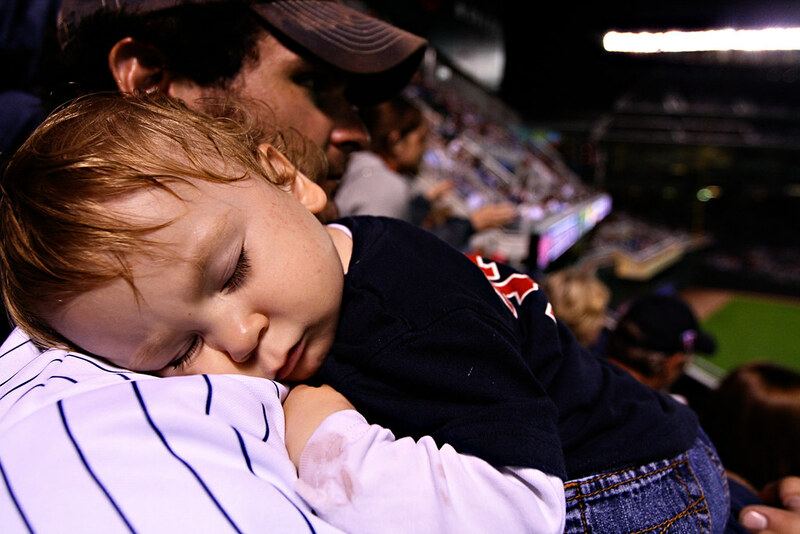 All in all, it was a fantastic evening and Tony was able to get Isaac to sleep on his shoulder in the middle of the 8th inning with a little bit of singing. 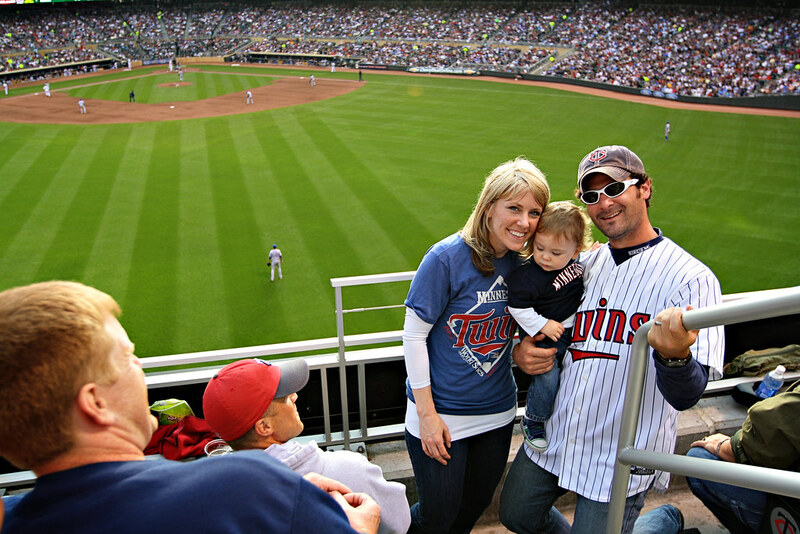 I approve of our new ballpark! I love the pictures, especially the one under the sign - very cool! 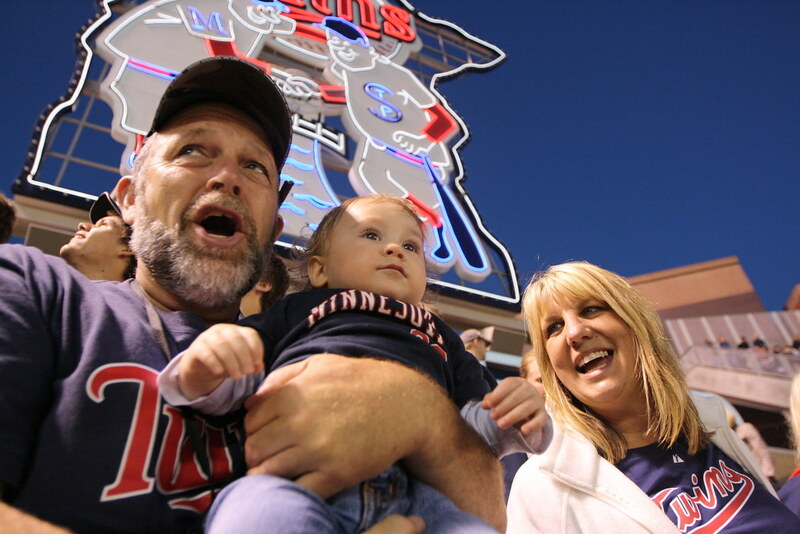 You're so lucky, last night would have been an awesome night for some outdoor baseball. 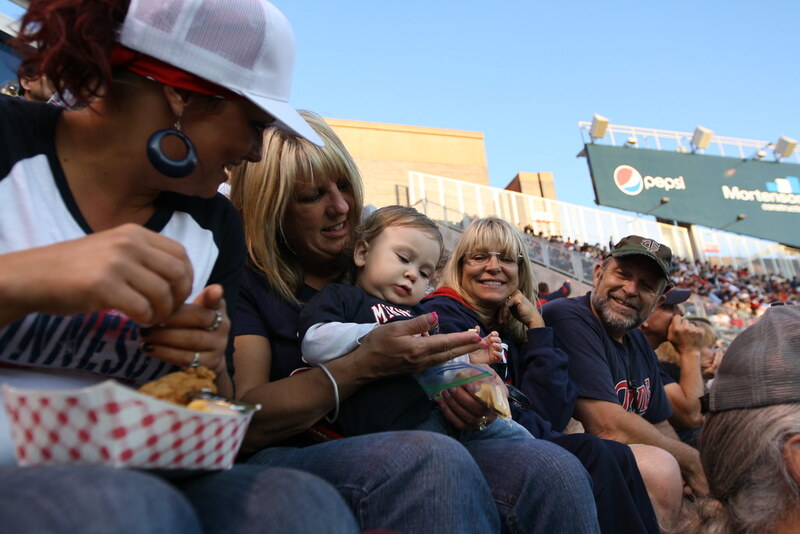 I can't wait to go to a night game! 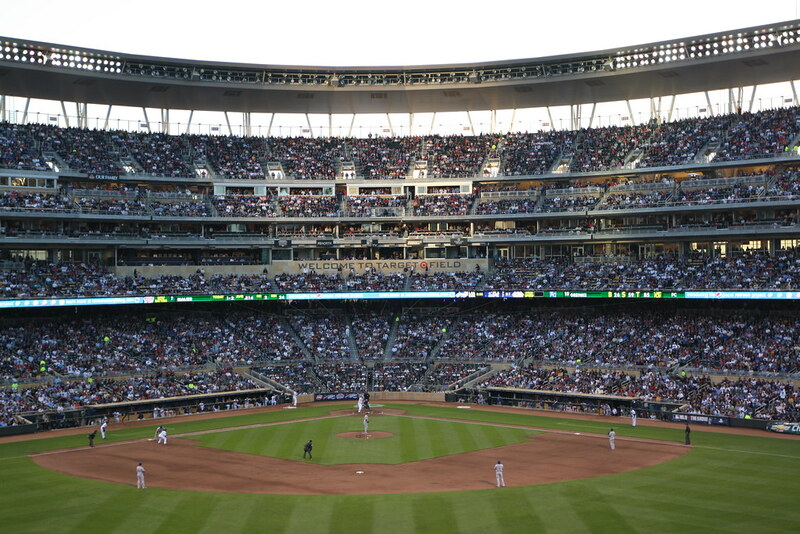 Target Field is pretty amazing! It's so great to finally have baseball outdoors again. The photo of Tony and Isaac where you're trying to get Isaac to smile...that smirk is adorable! What a sweet boy! I'm so glad you had a great time. Henry will experiencing his first game in September for my birthday and I cannot wait! Boys and pictures, I will never understand it! :) Glad you have a good time! The Photographer and I went to our first baseball game this last week too. Very exciting!